The first principle of American political theory these days is that the private sector is always superior to the public sector. 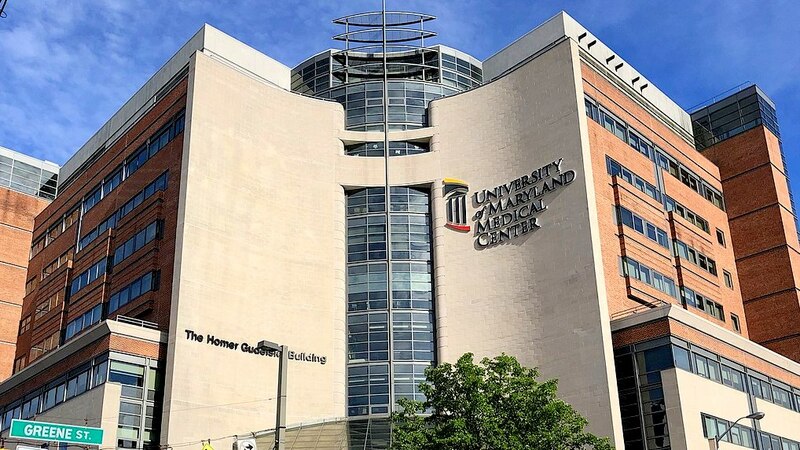 We see this carried out in the destruction of public schools, public housing, public transportation and public hospitals – one of which, Baltimore’s University of Maryland Medical Center, has evolved into the entity currently at the center of a conflict-of-interest scandal. Until 1984, Baltimore had two public hospitals, where all of our neighbors in need of health care were welcome and the wallet-ectomy was not the most common procedure. By the end of 1984 (the year used for the title of George Orwell’s prescient dystopian novel wherein the misuse of language is a key element), University Hospital became the “non-profit” University of Maryland Medical Center and Baltimore City Hospital became the “non-profit” Johns Hopkins Bayview Hospital. Here “non-profit” became an Orwellian term for the enrichment of directors and officers. Likewise, the pledge of “respect for the individual” by the hospitals’ new directors and officers meant that staff no longer needed public employee protections – or pesky unions that worked for living wages, decent benefits and fair grievance procedures. The case for private-entity superiority is weak: for every Motor Vehicle Administration nightmare, there is a private health insurance horror story. Privatization does, however, facilitate profits, especially for the elites who control the levers of power and decisionmaking. Thus, we have the directors and officers of Bayview and the University of Maryland Medical System (UMMS) who are compensated most handsomely while employees struggle, like Johns Hopkins workers who have said they must depend upon food stamps and Medicaid. At the “non-profit” UMMS, four top officials were paid more than one million dollars each, according to tax returns for 2015. Robert A. Chrencik, the hospital president and chief executive officer, received $2.58 million and eleven officers received at least $588,229 per year. The following year, Chrencik got a raise that brought him $4.27 million in compensation, a one-year increase of 65%. Nice work if you can get it. At the same times, members of the UMMS board converted their unpaid positions into lucrative contracts for ambulances, fundraising, human resources, banking, bonds, pest control, management consultation, insurance and strategic planning. In the case of Catherine E. Pugh, who served on the UMMS board while a state senator and then as Baltimore’s mayor, a company she formed received $500,000 from the hospital system for her self-published Healthy Holly children’s books. Now those same board members and officers have requested a $75 million revenue increase for 2019, citing administrative costs that have soared 88% since 2014. But no one is asking these hard questions at UMMS because the managers of the money are also the beneficiaries of the proposed increases. Between 2009 and 2018, Bayview filed 2,373 medical debt lawsuits seeking $3,914,775, according to the hospital’s financial filings. This is curious because Maryland’s unique hospital rate-setting system builds bad debt into the rates that hospitals charge their patients. Thus, we each pay a sort of surcharge to make certain that hospitals do not lose money when patients cannot pay their bills. Why then is Bayview harassing its mostly impoverished patients? The “non-profit” hospital reported a profit of $17,237,306 in year 2015 alone. This amount would pay for the hospital patients’ debt 14 times over. That year the total compensation for Bayview’s five officers was $9,081,438, or an average of $1,816,288. If those five people got together to cover the 10 years of patient debt, their average annual compensation would still be $1,033,333. I suspect many Baltimoreans would be willing to make such a sacrifice for this important institution. That is, if we still owned it. If University Hospital remained in public hands, perhaps we would have been spared the spectacle of political contributions (or worse) funneled to our current mayor disguised as the purchase of “Healthy Holly” books moldering in a warehouse. A warehouse does not appear to be a healthy residence for Holly. If only there was public housing for her. But, heck, we are giving away public housing as well. The previous city administration admitted to withholding federal funds for public housing, while maintenance positions were unfilled and thousands of Baltimoreans slept on the streets. If only there was public housing for Holly. But, heck, we are giving away public housing, too. Just as the purposeful neglect of public housing now permits developers to break unions and disempower residents – all the while hailing themselves as heroes – the purposeful neglect of public schools makes non-union charter schools appear to be the saviors of primary and secondary education. What precisely is that “private enterprise feel” that the $4.2 million man praises? Is it luxurious accommodations for select patients? Or is it the poorly paid staff? Is it gourmet foods delivered to board meetings? Or is it the (estimated) worker-to-CEO compensation ratio of 137:1? What the hospitals have become after 35 years of privatization are institutions that pay themselves millions of dollars, strip their employees of rights, and sue impoverished patients despite guaranteed taxpayer payments. The distinction between for-profit and non-profit institutions is that the former are honest in serving the interests of the minority, while the latter are dishonest in serving the interests of the majority. Only democratically-run public institutions are honest in the service of all. Let’s strive for that outcome.